Are you traveling and need to find the best accommodation services in Kerala (State)? When traveling across Kerala (State) you will find a wide range of different accommodations. In Infoisinfo we want you to find the one within your budget that better fits your interests. That is why we've prepared a list with the best accommodation services in Kerala (State) so you can find it easier. You will find numbers, addresses and reviews as well as comments from other clients. If you are interested in holiday accommodation in Kerala (State), have a look at this guide which explains the differences between the most common accommodations. Hotels: there are many hotels in Kerala (State) offering a great accommodation service. You can find affordable hotels or much more exclusive hotels like boutique hotels. These hotels offer a more thoughtful treat and count with a smaller number of rooms than a common one. Each room is different and unique. Other hotels and mainly low cost hotels must be booked long before the trip to get a better price. Guest houses and bed & breakfast: it is a nice and cheap accommodation which involves a feeling of local hospitality. Full breakfast is offered and other meals during the day upon requets. Very good and economic for weekends or short term holidays. It will be easy to find a nice and cheap b&b in Kerala (State) . Lodges: if you want an accommodation next to nature, a lodge is great idea. It is often made of wood and will provide you an unforgotable and unique experience. 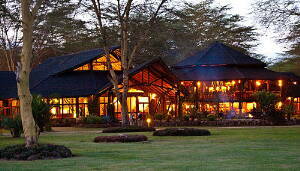 They are often booked with safaris and other tourist tours. Self catering accommodation: it includes all the independient accommodations with their own kitchen and other facilities. You will find from luxury houses to affordable apartments to rent in Kerala (State). East Nada,Guruvayoor,Opposite Municipal Bus Stand,Ponnuparambil, Guruvayoor. Guruvayoor. Thrissur. Pallichira P.O. Kumarakom-Cumbam Road, Kumarakom, Kottayam. Kottayam. Kottayam. United Tower, Palakkad Road , Perinthalmanna, Perinthalmanna. Perinthalmanna. Malappuram. View Point, Kallimaly, Off Munnar - Thekkady bypass Road, Rajakkadu, Munnar - 685 566. Kerala, India, Idukki - Kanjikuzhy. Idukki. Idukki. Poovar P.O, Trivandrum Kerala, Thiruvananthapuram. Thiruvananthapuram. Thiruvananthapuram. 2/102, Calvathy Road, Fort Kochi , Kerala, India-682 001, Kochi. Kochi. Ernakulam. Dr. Franklin's Panchakarma Institute & Research Centre Chowara P.O. Thiruvananthapuram Kerala - 695501 South India, Thiruvananthapuram. Thiruvananthapuram. Thiruvananthapuram. Near Priyath Jetty, Nedumudy,Alleppey,Kerala-688503, Alappuzha. Alappuzha. Alappuzha. Thavakkara road,Kannur, Kerala, India. Kannur. Kannur. Cochin Palace 28/698 A, Kp Vallon Road, Kadavanthra, Kochi - 20, Kerala, India. Kochi. Ernakulam. Vyjayanthi Building East Nada Guruvayur. Guruvayoor. Thrissur. Panvel - Kochi - Kanyakumari Hwy, Vyttila, Ernakulam, Kerala 682019, Thiruvamkulam. Mulanthuruthy. Ernakulam. VAZHAPPILLY EMMANUVAL ARCADE Opposite Govt. Of India Press, Koratty, Khanna Nagar, Kinfra Park.P.O. Thrissur. Thrissur.